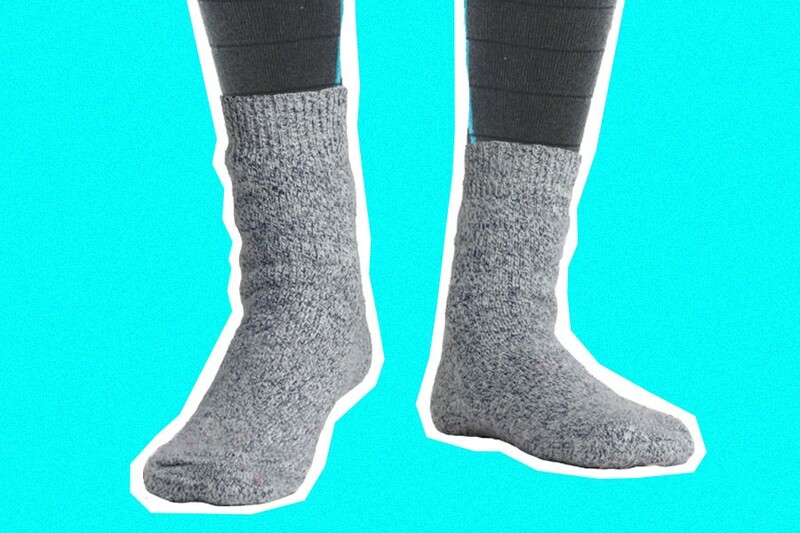 In theory, wearing two of something should equate to double the protection — two pairs of socks, for example, should keep your feet warmer in the middle of winter than one pair. (It’s common knowledge that the key to staying warm is layering, right?) But is that true, or are socks like condoms, in that wearing two actually decreases their efficacy? To find out, we asked four different experts in their respective fields if it’s ever worth double-bagging your feet. The answer: It depends entirely on what you’re trying to accomplish. “Is this a serious question?” asks Rayne Parvis, a professional stylist, when we inquire whether there’s any sartorial reason for ever wearing two socks. “No, there’s absolutely no stylistic value to wearing two different pairs of socks unless you’re going to a wedding in the Arctic and your shoes are too big,” she repeated (more than once).